High-Gloss Document Frame offers a high-end piano finish that compliments most any decor. Display vertically or horizontally. Velvet, two-way easel back allows versatile desktop use. Triangular-shaped hangers allow wall hanging. 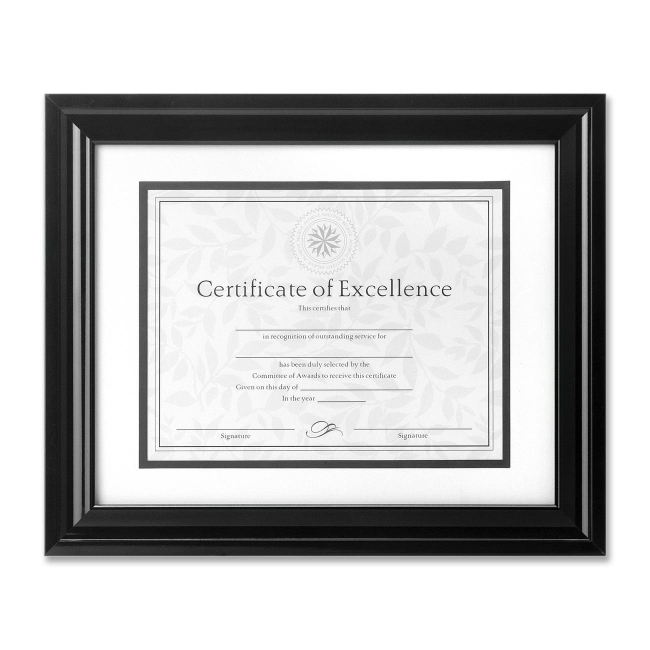 Design also features a turn-button closure, plastic frame and protective glass front that measures 11" x 14". The double-bevel mat with white over black offers the inner dimensions of 8" x 10-1/2" for your photos or documents. The dimensional face is 1-1/2" wide, and the side molding measures 7/8". 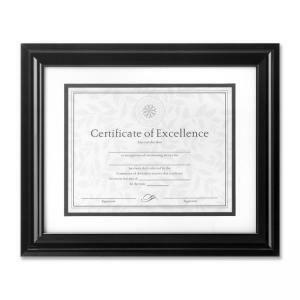 Frame includes a ready-to-use certificate.